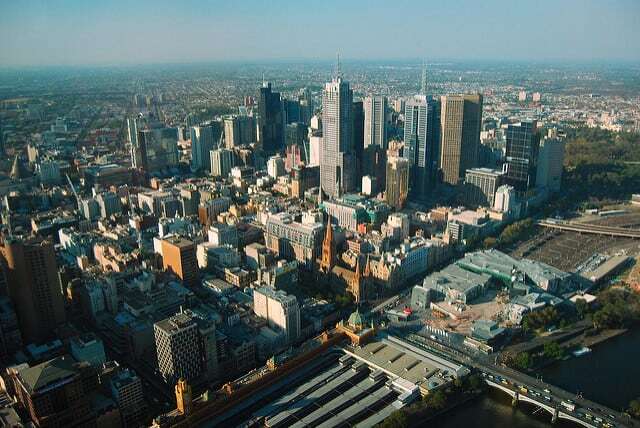 Melbourne is one of my favorite cities in the world – it’s fast, vibrant, and cultural. It’s European but at the same time still very much Australian. The accents are smooth, almost as much as the coffee, and there is live music every night of the week in the various bars and dives all over the city. The public transit is clean and fast and the trams cover a good number of routes. Each neighborhood is distinct and lovable for whatever mood and experience you’re craving. 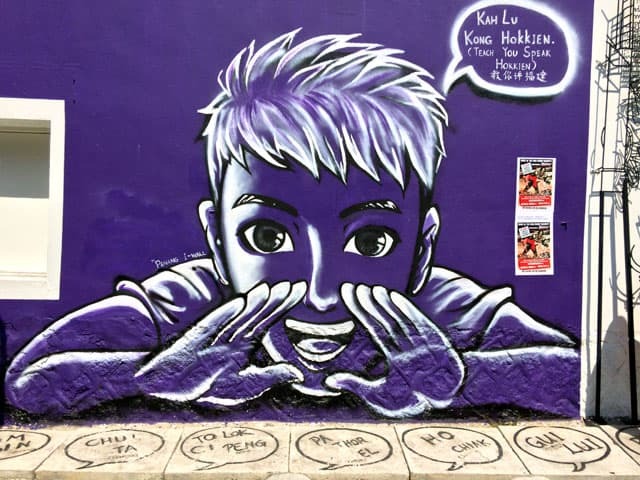 The city is lit up in colors from the amount of street art you’ll find around every corner. And I dare say that Melbourne has the best dumplings I have ever tried in my life, I still daydream about them today. As you can probably tell, there are countless ways to fill your days in this Aussie city. Melbourne may not be as popular of a tourist destination as Sydney, but it holds its own in terms of versatility and unique experiences. 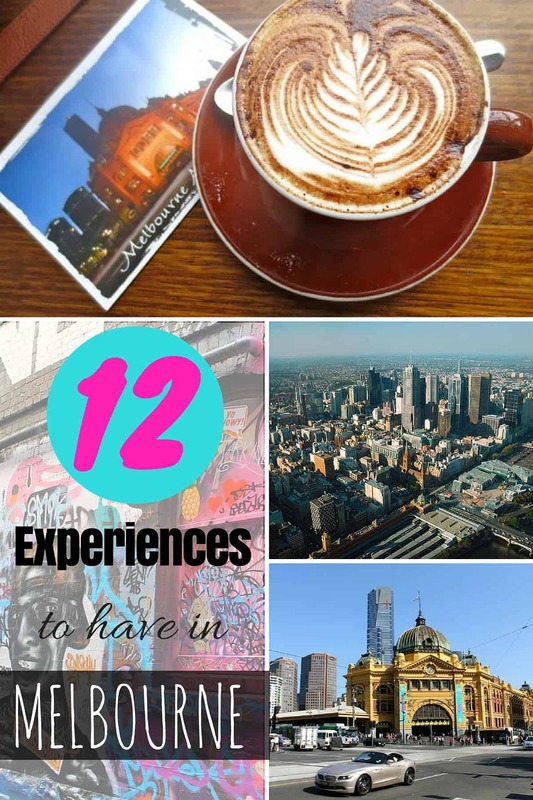 These are the 12 experiences everyone who comes to Melbourne should have at some point during their stay. The equivalent of the town square of the city, Federation Square is where a lot of the action takes place and is a great meeting spot for friends. There are numerous museums, eateries and coffee shops around, as well as free Wi-Fi that a lot of the uni student and tourists take advantage of by the droves. 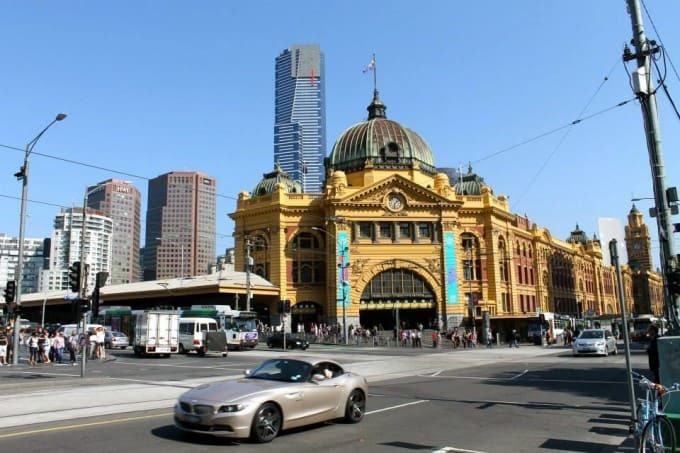 Flinders Street Station is also right there, where you’ll go when you want to be whisked away to another part of Victoria and beyond. I always think of this part of the city as the bringing together of north and south since the Yarra River cuts through here. It’s a great little spot to feel the essence of the city in all of its hustle and bustle and there are sometimes even events going on in Federation Square if you’re lucky. Last time I was there a magician was performing with a top hat and a bunny, I’m not even joking. 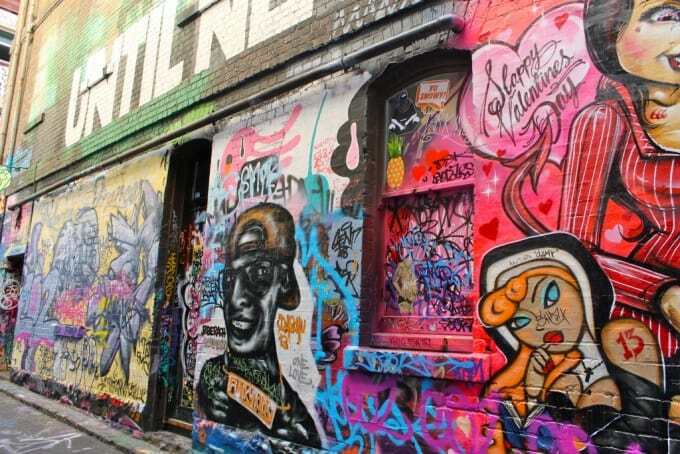 Melbourne is known for its colorful streets and the talented artists that you can sometimes spot creating new masterpieces on the sides of unsuspecting walls. Hosier Lane in the CBD is famous for its outrageous street art, but I enjoy heading to the likes of Fitzroy and Collingwood to discover more of the neighborhood street art. The great thing about the street art in Melbourne is you’ll discover it when you’re least expecting it. I love cities with hidden beauties in nooks and crannies everywhere. The great news for budget travelers in a fairly expensive country is that Melbourne has a thing for free museums. If you want to explore more of the city culture in addition to the street art, make sure to go to one of the many free museums all around the city center. This is especially a good option on the horridly frigid/windy days Melbourne is so fond of having. 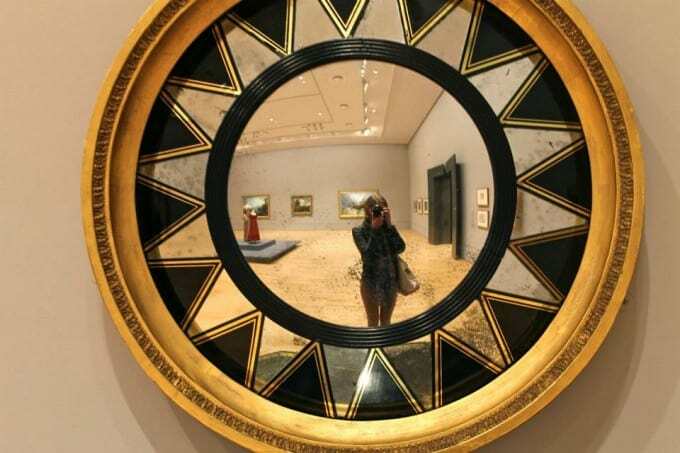 My recommendations for the best free museums that are all super close to each other include the interactive Australian Center for the Moving Image (ACMI), the more avant-garde Ian Potter Centre, and the classic National Gallery of Victoria (NGV). 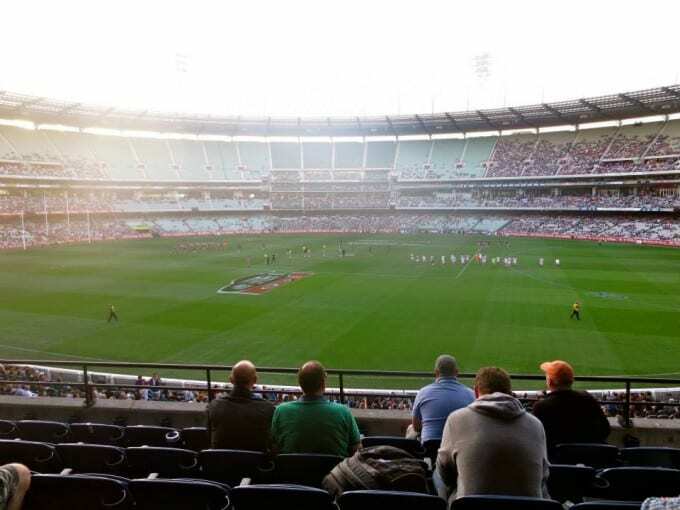 More than anywhere else in the country, you’ll find a strong addiction to Australian Football League, also known as the AFL or footy, in Melbourne. If you live in Melbourne, you better pick a team and you better support them like a champ on game days. I’m talking full getups of scarves, hats, socks, you name it. I felt like I was going to a Hogwarts quidditch match the first time I rode a tram on my way to a game. Everyone was decked out in there respective houses, I mean, team colors from head to toe. There is typically a lot of friendly yelling and drinking at these games, and even though you probably won’t really know what’s going on unless you were born in Australia, it still is one of the most quintessential Melbourne experiences you can have. The game was invented in Melbourne, after all. 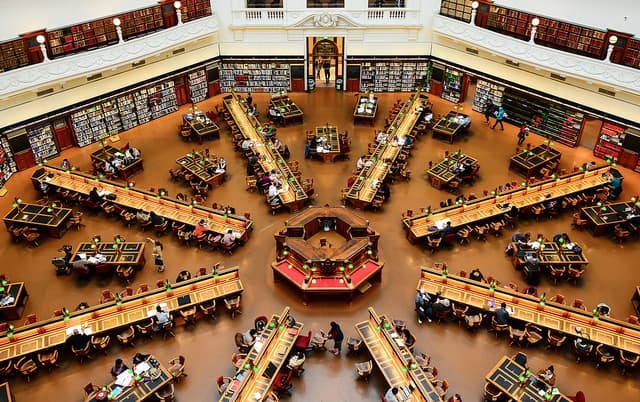 The most beautiful and ornate library I’ve potentially come across in my travels, the State Library of Victoria is all class. As you walk in you’ll be mesmerized by the stark white walls and stories of books that wind up to the ceiling, it is every book nerd and/or architect’s dream. It’s a great place to take a rest from sightseeing, pick up a great book, or make a stop into the delicious cafe next door, Mr Tulk. There is even a Ned Kelly exhibition in the library that gives you a quick history of the Australian bushranger with his homemade armor on display. 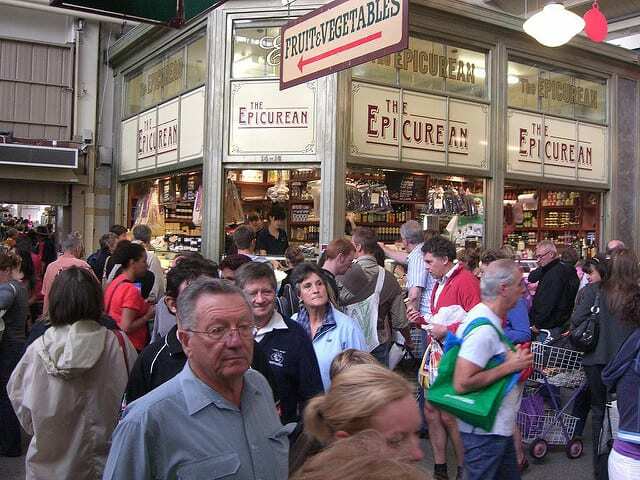 One of my favorite activities to do during my time in Melbourne was to stroll through the Queen Victoria Market, which is open everyday expect Mondays. Whether I was grocery shopping or people watching, the Queen Victoria Market has it all. There are fresh fruits, veggies, dairy, meats, but also countless souvenirs and handmade goods. There are a good handful of street musicians that hang around as well and some delicious takeaway foods. My personal favorite were the AUD$2 Turkish Boreks. The market spans two city blocks and is inside, outside and under canopies in some parts. It seriously has everything and it’s a place that brings together both tourists and locals alike. Although touristy as any large city tower is, the Eureka Skydeck is especially unique because it’s the highest public viewing point in the whole Southern Hemisphere. 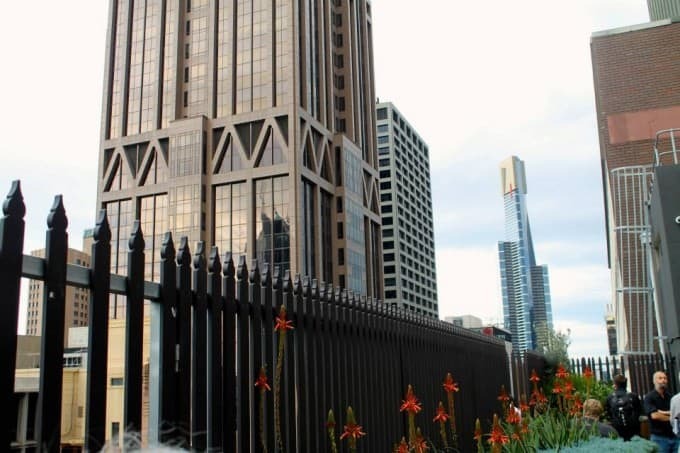 Be whisked away on a super fast elevator that takes you up to a lookout at 935 feet for arguably the best view in Melbourne. Melbourne is a gorgeous city full of lights and color and bustle. It’s mesmerizing being able to see if from that high up, it’s hard to convince yourself to come down. Tickets are about AUD$20, and it’s well worth it to add $5.50 to your ticket to experience the sun & stars package, allowing you to see the view both during the day and at night. The “edge” experience, on the other hand, was a bit of a bore, so I would pass on that one. Although it may seem a bit far from the rest of the city, St. Kilda is a great little spot in Melbourne, and proof that there is actually a beach to escape to outside the city. 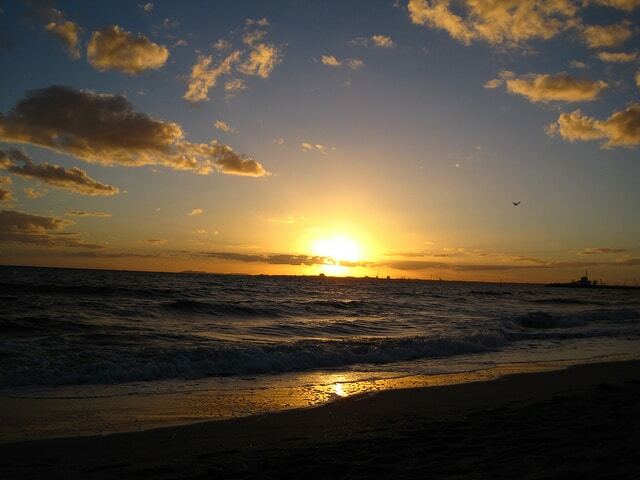 It’s sometimes easy to forget that Melbourne actually resides on the coast of Australia. There are great little cafes and restaurants over here that are right along the beach, and even a historic amusement park called Luna Park with a view of the waves. St. Kilda has a completely different vibe from the rest of Melbourne, but it’s worth the relatively quick tram ride to come explore it for yourself. 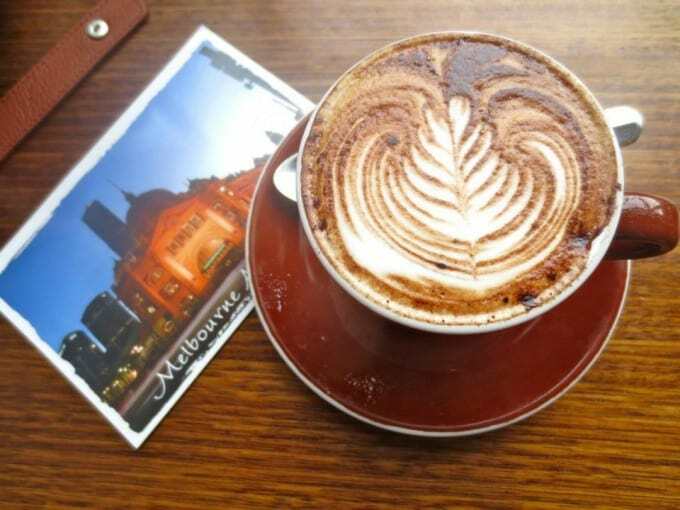 An experience that has become more cliche and touristy nowadays, you definitely won’t find the best coffee in Melbourne on Degraves street, but you will get the full European laneway cafe experience that Melbourne has become famous for. Cafes and restaurants line the little laneway called Degraves in the CBD. Pick which place looks best to you and grab a flat white to sip out on the cobblestones. Make sure to also stop in at Centre Place nearby for the same street cafe culture (and better coffee) without so many tourists. 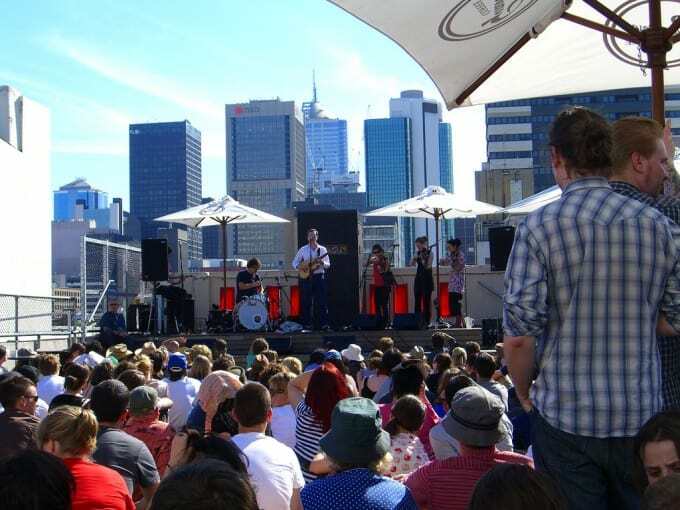 And lastly, you can’t go to Melbourne and not experience at least one rooftop bar. As I mentioned before, Melbourne is a gorgeous city, especially when it’s lit up at night. There are various rooftop bars at which to admire the city and sip on a cocktail. My two favorites in the CBD would include Rooftop Bar (above the Toff), which also has an outdoor cinema in the summer, and the eccentric Madame Brussels, where staff are decked out in tennis getups and you’re served warm cocktails in teacups. You can’t go wrong with a rooftop experience in Melbourne, and there’s nothing better to make you feel like a class act on a night out in town. Have you been to Melbourne before? What are your favorite experiences to have in the city? 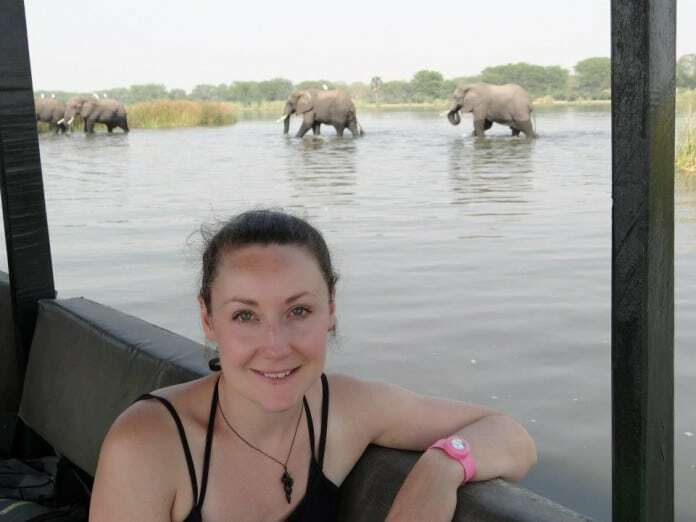 Mimi is the founder behind The Atlas Heart blog and has traveled through 4 continents since her first trip abroad at 18, including a two year stint living in Oceania. From jumping out of a plane in New Zealand, to eating snakes in Vietnam, learning how to cook in Italy, and scuba diving the Great Barrier Reef, she is always looking to live with an open mind and an Atlas Heart. She's currently based in the Pacific Northwest.